This pre-cast building was the former Home Depot Expo Center on a major retail corridor in Chicago’s western suburbs. The renovation converted almost 18,000 square feet of parking area into sales floor to provide 130,000 square feet of retail space. The two story building was then opened up by removing many of the 50 foot pre-cast wall panels and replacing them with glass curtain wall systems. This substantial structural renovation challenge involved using a 500 ton crane along with nearly 800 lineal feet of roof and floor shoring. 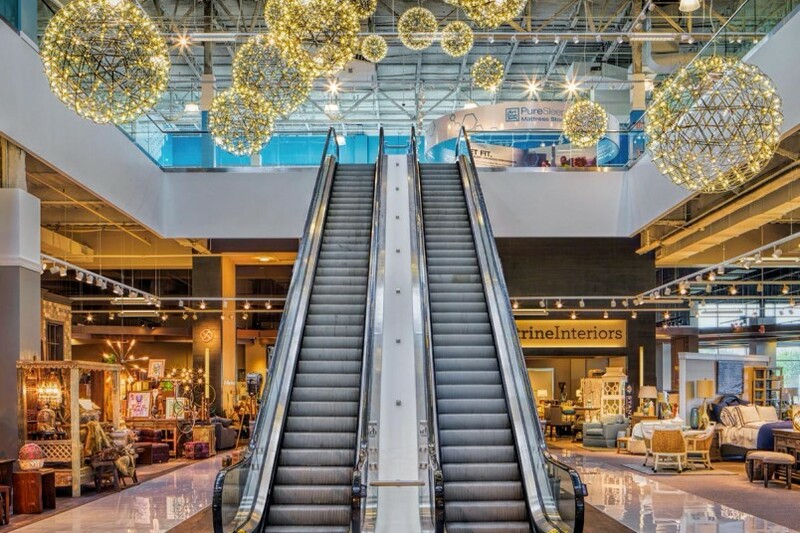 The building was further updated by relocating the existing escalators to an impressive two story atrium in the center of the building. Here large fiber optic light installations invite the shopper upstairs to a café and the PureSleep Mattress store with its beautiful wall of live plants. 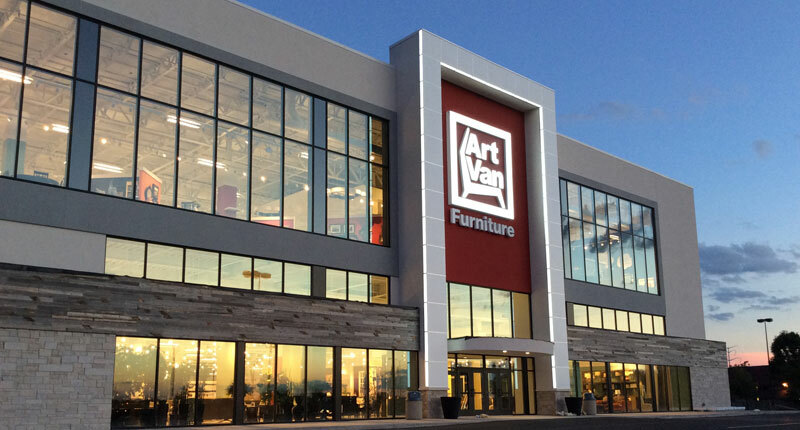 This Downers Grove location is the largest Art Van Furniture Store in the chain’s 55 year history and marks their eighth substantial investment into the Chicago market. 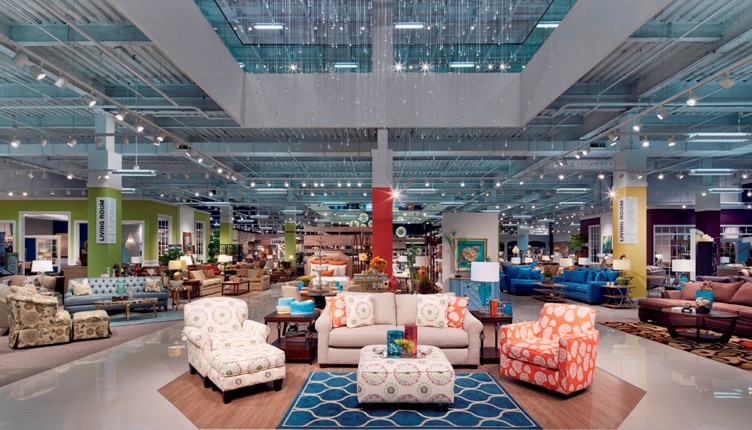 Adding the Scott Shuptrine Interior Design & Home Furnishings Gallery into this store highlights Art Van’s desire to meet the upscale design needs of this location’s customers.